Megan McCrae is a Partner in the Kalispell Commercial Department. Megan’s practice focuses primarily on healthcare law. She regularly advises hospitals, physicians, and other health care providers on a broad range of business, operational and regulatory matters. 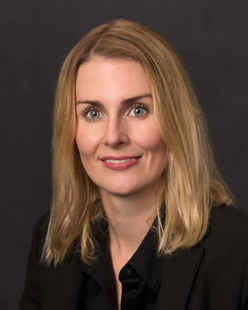 During her time with the firm, Megan graduated from Loyola University Chicago with an LL.M. in Health Law. In 2011, Megan graduated with high honors from the University of Montana School of Law, where she was an Editor for the Montana Law Review, a member of the National Moot Court Team, and served as the Constitutional Law Teaching Assistant.